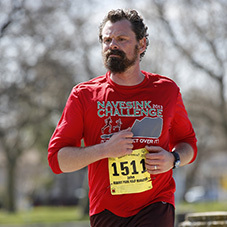 Pining for a Cure was founded by Michael Lock and John Gregory, two guys with a passionate like of cycling, and a passionate dislike of cancer. 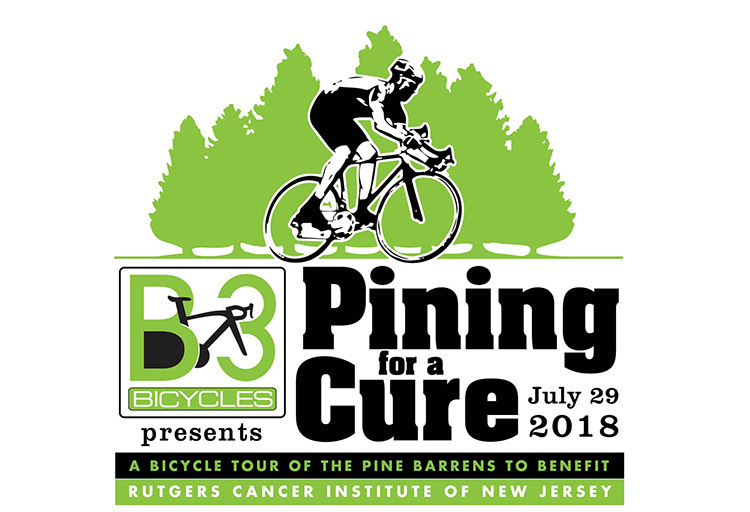 Our goal is to provide cyclists of all fitness levels with one of the best days ever on a bike, while raising awareness and funds for the great work of Rutgers Cancer Institute of New Jersey (CINJ). 2018 is our inaugural year, and we are hoping to set the bar high right from the starting line with a large showing of cyclists from all over the Tri-State area! Michael and John were introduced to the Rutgers Cancer Institute at a different cycling driven benefit, and were singularly impressed with their enthusiasm, selflessness, and dedication toward the cause. CINJ’s great mission is to help individuals fight and defeat cancer. Through the transformation of laboratory discoveries into clinical practice, they target cancer with precision medicine, immunotherapy and clinical trials and provide the most advanced, comprehensive, and compassionate world class cancer care to adults and children. It is our ambition that the anticipated success of Pining for a Cure will provide us with a solid foundation upon which to build, so that we can continue to assist CINJ and be a part of all the good that they do for the New Jersey community and far beyond, as we continue to wage war against cancer. Day-Of Registration will be available with a $20 surcharge. Purchase your Premium Registration before June 10th to be sure to receive your Pining For A Cure jersey! 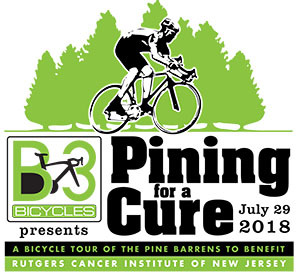 Pining for a Cure was founded by Michael Lock and John Gregory, two guys with a passionate like of cycling and a passionate dislike of cancer. Our goal is to provide cyclists of all fitness levels with their Best Day Ever On A Bike, while raising awareness and funds for the great work of Rutgers Cancer Institute of New Jersey (CINJ). 2018 is our inaugural year, and we are hoping to set the bar high right off the starting line with a great big showing of cyclists from all over the Tri-State area! We chose RCINJ as our ride beneficiary because Michael and John were introduced to the Rutgers Cancer Institute at another cycling driven benefit, and were particularly impressed with their enthusiasm, selflessness, and dedication toward the cause. CINJ’s singular mission is to help individuals fight and defeat cancer. Through the transformation of laboratory discoveries into clinical practice, they target cancer with precision medicine, immunotherapy and clinical trials and provide the most advanced, comprehensive, and compassionate world class cancer care to adults and children. It is our ambition that the anticipated success of Pining for a Cure will provide us with a solid foundation upon which to build, so that we can continue to assist CINJ and be a part of all the good that they do for the New Jersey community and far beyond, as we continue to wage war against cancer. Thank you so much for your consideration in participating and/or contributing to this crucial cause. What makes Pining For A Cure different from so many other benefit and gran fondo bike rides? For one…Pining For A Cure is FLAT, with less than 1,500 feet of elevation on the 100 mile route, and even less that on the 75 mile route. No scary climbs or white knuckle descents here, just pedal away at your leisure while enjoying some of the most scenic and serene roads that New Jersey has to offer. Speaking of serene roads, the Pine Barrens are also QUIET, with minimal traffic and very few intersections. On some 20 mile stretches, you will probably see more hawks and turkey vultures than cars. That’s not to say that the Pines are boring. On the contrary, the region is famous for some of NJ’s weirdest landmarks, and there is a wonderful variety of scenery. We’ll be riding through dense pine forests, between fields of colorful cranberry bogs, past glistening glassy reservoirs, and across five wooden bridges on our trip out to the very tip of Great Bay Boulevard, a stunning marine and avian wildlife haven! The aforementioned Great Bay Boulevard will come 35 miles into the ride…the perfect time and the perfect place for a reinvigorating brunch stop catered with fresh baked LEGENDARY world- famous donuts, courtesy of Bagel Nosh in Lakewood, NJ. Ride sponsors Coffee Surf Co. and Pinelands Brewing Company will also be offering nitro- boosting Nitro Cold Brewed coffee at the starting line breakfast, and so good-I’d-gladly- ride-another-100-miles-for-another-pint craft beer at the post ride pizza party. …And there is so much more in store! More details will be made available as the date approaches, so stay tuned! As you can see, our goal is to provide our participants with the best possible experience. Even better, 100% of all profits from the ride will to go directly toward the Patient Services at CINJ. Pining For A Cure is a 100% not-for-profit ride. No one involved in the production of the ride takes any salary, and volunteers are unpaid. We do this because we believe in the cause of the Rutgers Cancer Institute and because we believe in bringing people together to ride bikes. Still, creating a a ride like this is an expensive endeavor, so we are relying on a large turnout and corporate sponsorship to help cover the cost of the ride and still leave plenty left over for RCINJ. YOU can help us accomplish this goal by telling as many people as you can about the ride, and by letting us know if you know of bike-friendly businesses that might be interested in a financial sponsorship. THANK YOU! Join the ride, join the cause: Register! $50 Basic Registration gets you a ticket to ride. $100 Premium Registration gets you a ticket to ride, plus an awesome Pining For A Cure ride jersey! – We do cannot guarantee jersey availability for registrations received after June 10th. – Additional jerseys may be purchased at Bikereg.com/piningforacure if ordered before June 10th. On Site Registration will be available at a $20 surcharge.